As we grow older, it is fairly common to reflect on what our life has stood for and what we will leave behind for people to remember us by. Part of aging gracefully is to live with the hope that we have made a difference in the world. Geriatric care professionals say it is important for each of us to feel as if we are leaving a legacy behind. 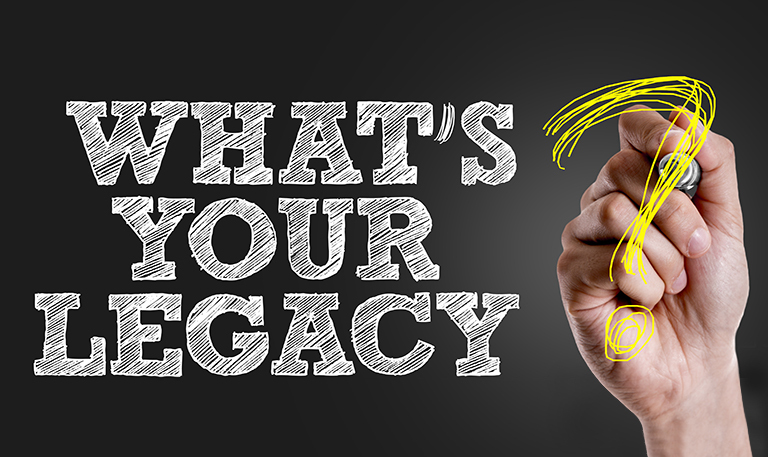 What that legacy might be varies from person to person, according to who and what is important to each. Understanding what matters most to you and how you can plan your own legacy might seem overwhelming. Here are a few ideas we think will help you get started. Allow yourself time to reflect. Taking some quiet time to reflect on who and what is most important to you can bring clarity. If you lost a cherished grandparent to Alzheimer’s disease or a spouse to cancer, volunteering your to help an organization that supports research for one of those illnesses might provide you with a way to feel as if you are making a difference. This is especially true if your personal situation doesn’t allow you make a financial contribution to these agencies. Resolve the conflicts in your life. Unresolved family disagreements or feelings of guilt about a falling out with a friend can eat away at your peace of mind. This can hold you back from relaxing and enjoying your retirement years. While it isn’t always easy to do, mending fences is a gift you give yourself, especially in later years. Share your family history. Seniors are often the keepers and caretakers of their family’s history and stories. Finding ways to document and share both of those can be a great project for you to pursue with your children and grandchildren. Today’s technology makes it so easy to do. You might want to “produce” a series of videos where your grandkids interview you on events from your childhood. It can be easily accomplished using your cell phone’s video. Or you could set up a blog chronicling your family’s history. You can add a post or two each week that focuses on a favorite memory or even a difficult time in your life. We hope these tips help you reflect on what is important to you, and build a legacy you can be proud of. For an inspiring story of one local woman’s legacy, you might appreciate A Woman’s Work – Dee Dickinson’s Legacy. 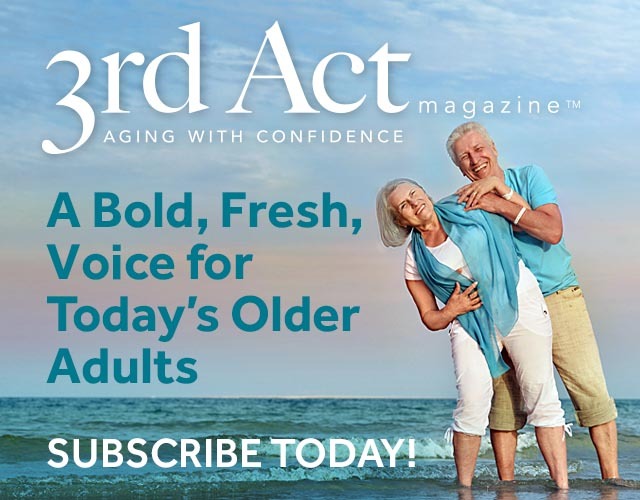 We’re happy to have you visit 3rd Act Magazine online, and hope you’ve enjoyed learning more about the importance of leaving a legacy. For a limited time, we are offering readers a complimentary one-year subscription to our magazine. Every three months you will receive a new issue delivered right to your mailbox! I’m a heath psychologist and as part of my encore career, I earned a doctoral certificate in gerontology. I’m also a certified Legacy Letter Facilitator and consult with organizations on the benefits of the mature workforce. I’m also a Commissioner on the Commission on Aging for my County in MD. I would love to contribute some thoughtful articles to your magazine! Thank you, Monica. You will find our submission guidelines on our website. We review all the submissions and will contact you if you are interested in publishing one of your pieces. We tend to focus on Legacy in our fall issue.